Celebrity beauty brands have to work a little harder than other brands to get taken seriously, don’t you think? But you can’t discount a brand just because there’s a high profile name attached. Remember the Joan Collins lipsticks with the hyaluronic acid? They were pretty good. 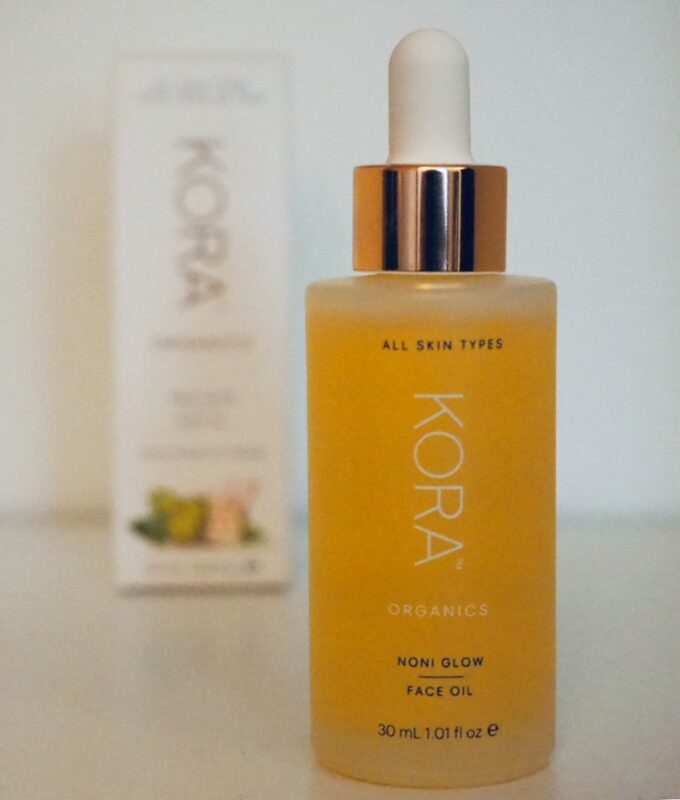 And now newly arrived in the UK, we have Kora Organics, a skincare brand developed by Australian model Miranda Kerr. Kora has been on sale in Australia since 2009, which I think is a good sign that consumers like it enough to keep the brand thriving. Well, quite. I’m not sure what to make of that. I love a bit of woo and the vibration of self-love sounds like it could be fun on a Friday night. You could easily be cynical and mock the crystal connection but I get the sense that it’s coming from a good place and good places are, by definition, good. Over the last few weeks I’ve been testing out the brand’s signature face oil – Noni Glow Face Oil. Noni is a fruit that’s native to Polynesia, and noni juice is popular in Australia. It’s one of those superfoods that’s credited with all kinds of health-giving properties, although there is no actual science to back this up. Noni Glow Face Oil is made with a combination of naturally derived ingredients, including noni extract, rosehip oil, pomegranate and sea buckthorn oil. It’s made with organic, naturally derived ingredients that are rich in antioxidants. This is definitely one for people with drier skin that would benefit from a bit of added glow. If your skin is oily then I think you’d find it too heavy. The lack of artificial perfumes makes it a good choice if your skin is sensitive. Not that there’s no scent, but it’s more of a light, natural one from the oils. It’s quite rich so you only need a couple of drops at a time to hydrate, soften and leave a dewy glow on the skin. With this in mind, it could easily last six months or more, so bear that in mind when you see the £60 price tag. 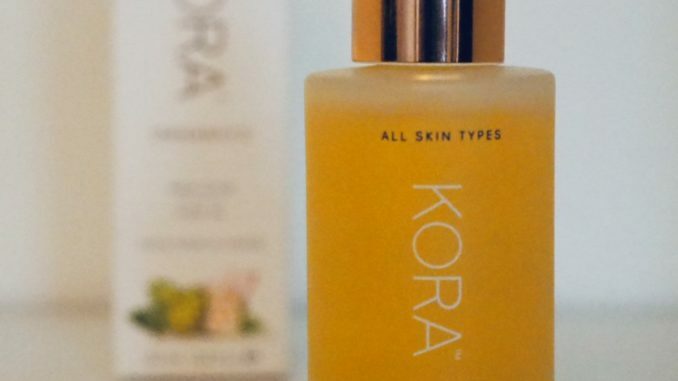 Kora Organics products are available in the UK from Space NK. Not tested on animals. Suitable for vegans. Free from parabens, silicones, sulphates, PEGS and synthetic fragrances and dyes. Noni Glow Face Oil (30ml RRP £60) can be found here.